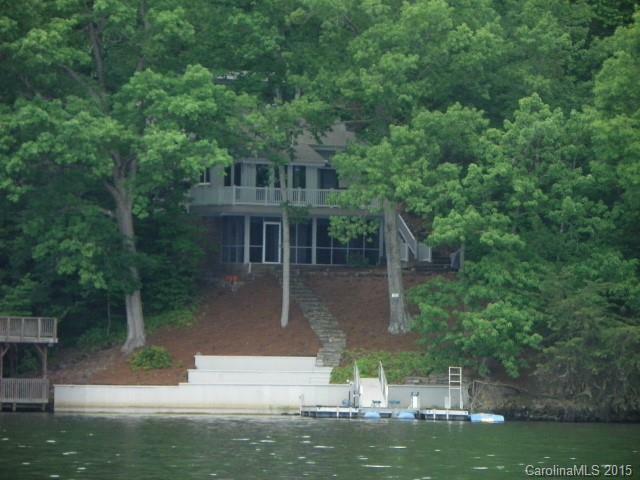 Beautiful waterfront home comes furnished. Lots of Poly decking with spectacular lake views! Nice deck out of the Kitchen, Dining area with awesome lake view. Single car attached garage. Beautiful Stone chimney in Living Room. Living Room/ Kitchen/ Dining combo with fantastic lake views. Stainless Steel appliances (Jenn-Air stove). New HP/CA 6/2016, ALL new Pella windows in 2013, New (2013) floating Poly pier made by Aluma Dock w/Hydro lift, with Sea Doo Ramp. Home newly painted 2015. INCLUDED: A 3-car garage, one block away from the house, this is a plus as vacant lots can no longer have garage's any longer unless has water/sewer.